Please note: This camp has been cancelled. The V Football Camp, hosted by Mountain Pointe football coach Norris Vaughan, is a having an incoming freshmen camp May 26-29 at Mountain Pointe, from 4:30 to 6:30 p.m. each day. Each participant receives a camp T-shirt and the cost is $100. Each player should bring football cleats, athletic shoes, shorts and socks along with sunscreen. The camp will be focus on speed and agility training for offensive and defensive linemen, technique work for offensive and defensive linemen, skill work for wide receiver, running backs and defensive backs. The registration form can be found atmphsfootball.com. All questions should be directed to Vaughan atnvaughan@tuhsd.k12.az.us or (602) 320-7831. With the conclusion of the 2011-2012 school year, we are now beginning preparations for the upcoming 2012 fall football season. I would like to invite you to attend a meeting to learn about the MPHS Football program, and explore how you can contribute to the wonderful journey that your son is about to embark on as a member of the MPHS Pride Football family. During this meeting, I will be sharing information on the following topics. 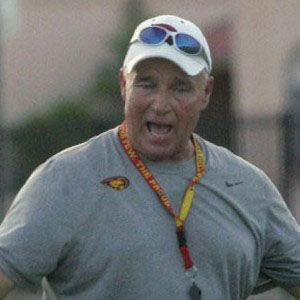 I will also answer any questions you might have regarding the upcoming 2012 season. The Pride Football Strength and Conditioning Camp will be held this summer in the weightroom. The Camp will run, Monday through Thursday, May 29th – July 26th with a two week break from June 29th – July 15th for summer vacation. Incoming Freshman will lift 7:00 -8:15am, Junior Varsity will lift 8:00-9:15am and Varsity will lift 9:00-10:15am. If you are taking summer school classes at Mountain Pointe, you will lift 1:00-2:15pm. All athletes must complete the attached registration form.